It’s nice to know that in this day and age of music saturation that occassionally, something stupendous can still be identified through all the noise. 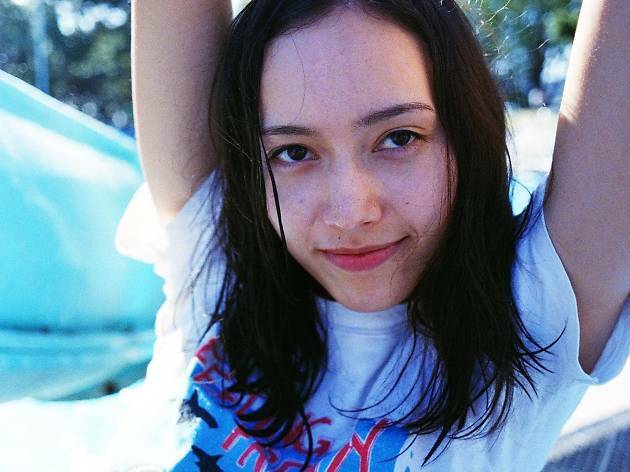 Take, for instance, New Zealander Amelia Murrary, aka Fazerdaze. Her debut LP, Morningside, belies the fact that it was created almost entirely by Murray in her bedroom by being one of the most refreshingly honest, fun and catchy albums of the year. 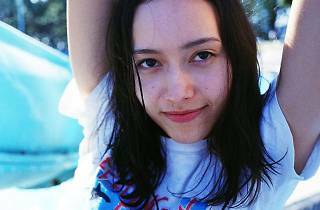 Dancing between shoegazy melancholy and bippy-boppy guitar pop sunshine, it’s made Fazerdaze one of the most in-demand artists around. Morningside has received an amazing critical reception, do you feel validated given the personal lengths you went to record it your own way? It has been very validating, yes. I spent a lot of hours alone working on this album, battling self-doubt and trying to figure out how I was ever going to finish it. The success has been a total surprise and an added bonus to actually completing the album. It’s pretty exciting to now be touring the world off the back of Morningside and meeting the people who have been listening to it. I’m really happy and grateful that the music has connected with so many people. It means a lot to me. A lot of dream-pop and shoegaze artists are keen on longer, drawn out tracks to convey the grandiosity of their soundscapes. Your songs however, are tight, shorter and to the point, almost structured like punk songs. Is that by design? I have a short attention span, so my songs are naturally quite short and pop-like. I also maybe do this to keep it interesting for myself while I’m at home recording for hours on end. If I get bored on one song I can just quickly jump over to another. If Fazerdaze was a band, I might make longer songs because we could jam and get lost in it, but this is just a solo project so short songs keep it fun and interesting for me. Your sound is decidedly wistful, dreamy and sun-soaked – how does that translate into your live show as a four-piece? We smile a lot on stage and I use a lot of reverb on my vocals! Thereʼs a fascinating juxtaposition in your music – a certain sunny loveliness contrasted with a candid, almost confessional emotionality – can you tell us a bit about you arrived at that style? Yes, there’s definitely melancholy in the lyrics and a lot of tension between happy and sad throughout the music. It’s a hugely personal record for me. I made it when I was going through a really difficult time in my life, so the lyrics reflect on that. The sunny sonic elements, I think, come from a place of escapism. I was going through a dark time but I had a desperation to be happy, so there’s a gentle pull between feeling sad but wanting to be happy. What do you think being self-taught – producing and recording much of your work at home – has given your music that it otherwise wouldn’t have? I think it makes for a pretty intimate record. Because I was fundamental in every part of its creation, it has all these tiny subtle decisions that get the listener even closer to what’s going on in my head. I think I made the kind of record which feels like you’re sitting in my bedroom surrounded by all of my things. How do you feeling about coming to Asia? I’m so incredibly excited! It’s my first ever time playing in Asia, so it’s a really special tour for me. I’m so excited to meet the people who have been listening to my music. Expect to see me unable to wipe the smile off my face.